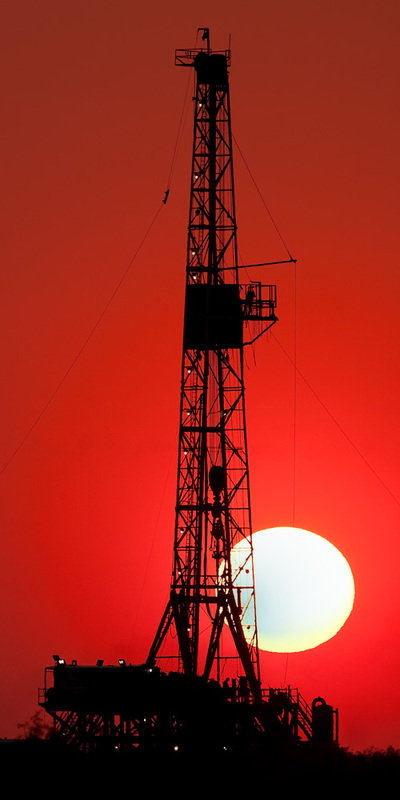 Drilling rig photographed with a remarkable smoke filled sunrise near Midland Texas during Texas worst drought in 200 years. Oil and Gas Photography for Fine Art By Robert D. Flaherty. Photo © copyright by Robert D. Flaherty.